« Tony Hawk Balance Board Game? Today the DOJO was updated with information on target practice. 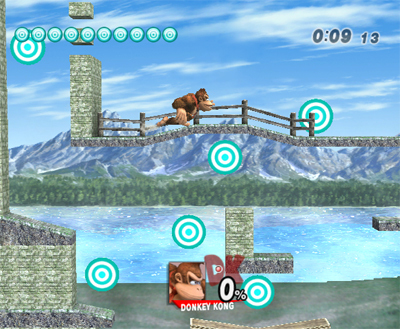 That’s right, target practices returns once again to the Super Smash Bros. franchise, but now it’s bigger and better than ever. You still have to break 10 targets in a set amount of time, but now speed runners get a new helping of speed running goodness. 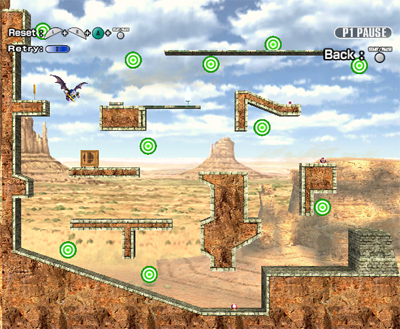 The mini game has five stages, and five levels of difficulty, making a total of 25 possible ways to play. 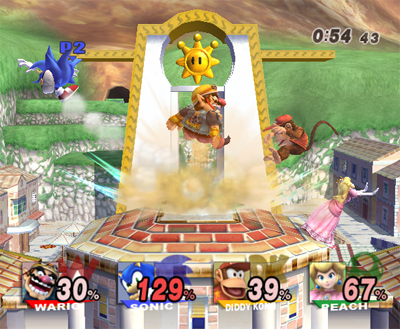 The stages also take place outside, unlike in previous games of the franchise. Sakurai also state something that “appears to sound like” a reverse double negative; “There is another announcement I’d like make simultaneously.” What’s his announcement? 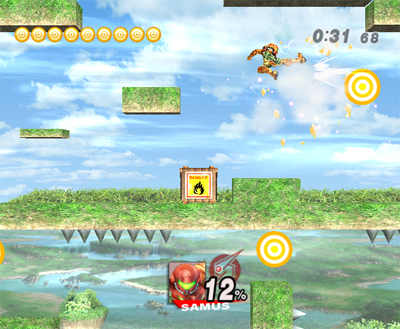 Willie says that these three minute speech runs can be recorded, and the recording can be sent through Nintendo’s 24 connect service. Personally I believe that that should’ve been the title of the entry, rather than “target smash”. 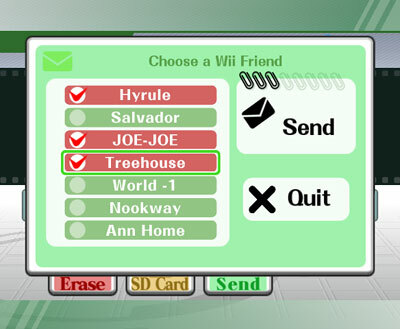 This entry was posted on Wednesday, October 24th, 2007 at 7:10 pm and is filed under Nintendo. You can follow any responses to this entry through the RSS 2.0 feed. You can leave a response, or trackback from your own site. Hiya, I am really glad I’ve found this information. Today bloggers publish just about gossips and net and this is actually frustrating. A good site with exciting content, that’s what I need. Thanks for keeping this web site, I’ll be visiting it. Do you do newsletters? Cant find it. Can I simply say what a aid to seek out somebody who truly knows what theyre speaking about on the internet. You undoubtedly know tips on how to deliver an issue to light and make it important. Extra individuals have to read this and perceive this aspect of the story. I cant consider youre not more in style because you definitely have the gift. My partner and I absolutely love your blog and find nearly all of your post’s to be exactly I’m looking for. Do you offer guest writers to write content in your case? I wouldn’t mind publishing a post or elaborating on a few of the subjects you write regarding here. Again, awesome web site! Needed to send you one very small remark just to thank you once again over the breathtaking basics you’ve shared at this time. It’s so particularly generous of you to convey easily all that a lot of people might have offered for sale for an e-book to help make some dough for their own end, specifically given that you might well have done it in the event you desired. Those points in addition worked like a good way to fully grasp that most people have similar dreams just like my very own to figure out a lot more pertaining to this matter. I believe there are many more pleasurable situations ahead for folks who take a look at your blog. I’ve observed that in the world these days, video games are classified as the latest popularity with children of all ages. Many times it may be not possible to drag your kids away from the activities. If you want the best of both worlds, there are numerous educational video games for kids. Great post. I truly wanted to write down a simple message so as to say thanks to you for all of the nice steps you are writing on this website. My incredibly long internet search has finally been rewarded with good quality tips to go over with my close friends. I ‘d express that many of us visitors actually are extremely lucky to dwell in a decent website with many special people with beneficial tips. I feel somewhat lucky to have seen the weblog and look forward to tons of more excellent moments reading here. Thank you once more for all the details. I just like the helpful information you supply in your articles. I will bookmark your weblog and test once more right here regularly. I am somewhat certain I will be informed plenty of new stuff right here! Good luck for the following! I have noticed that in digital cameras, special devices help to concentrate automatically. These sensors connected with some digital cameras change in contrast, while others work with a beam involving infra-red (IR) light, specially in low lighting. Higher standards cameras oftentimes use a blend of both methods and may have Face Priority AF where the dslr camera can ‘See’ your face and focus only upon that. Many thanks for sharing your ideas on this site. Youâ€™ll be able use all sorts of advised attractions with various car treatments. A quantity of sell traditional tools numerous demand families for almost any event for any investment district, or even for a holiday in new york. ???? ??? ?????? ????? Hi there, just became alert to your weblog via Google, and found that itâ€™s truly informative. Iâ€™m gonna watch out for brussels. Iâ€™ll be grateful in the event you continue this in future. A great deal of folks will probably be benefited from your writing. Cheers! There are incredibly lots of details like this to take into consideration. Which is a superb point to raise up. I offer thoughts above as common inspiration but clearly you’ll be able to discover questions such as one you start up the spot that the most crucial thing is going to be obtaining function done in honest extremely good faith. I don?t determine if guidelines have emerged around stuff like that, but I am certain that the job is clearly identified as a fair game. Both boys and girls have the impact of only a momentâ€™s pleasure, through-out their lives. Informative Siteâ€¦ Hello guys here are some links that contains details that you may find helpful yourselves. It is Worth Checking outâ€¦. Thank you for this great internet site. I am trying to read some a lot more posts but I cant get your weblog to display properly in my Firefox Browser. Thank you again! This website online is known as a walk-by means of for all of the info you needed about this and didn’t know who to ask. Glimpse here, and you’ll definitely uncover it. I expect this is a sincere great article berth.Thanks Again. Truly Majuscule. I’d must check with you here. Which is not one thing I usually do! I enjoy studying a submit that may make people think. Additionally, thanks for allowing me to comment! I was basically wondering if you ever thought of adjusting the layout of your blog? It is well written; I love what you have got to state. But maybe you could create a little more in the way of content so people might connect to it better. You have got an awful lot of text for only having one or two photographs. Maybe you could space it out better? I wonder if http://www.steroidology.com some of this content could have been taken from a feed, it’s scattered across the web and various peoples websites, unless you’re the first publisher?. I have recently started a site, the information you offer on this web site has helped me greatly. Thanks for all of your time & work. “My dear and old country, here we are once again together faced with a heavy trial.” by Charles De Gaulle.